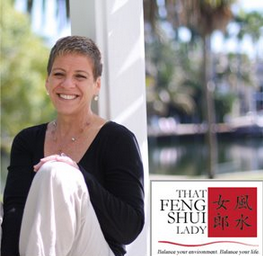 ‘I have only just become aware of Feng Shui and it sounds very interesting indeed. I’m moving to a new apartment in a few months and I think it would be a good idea for me to ask for a Feng Shui consultant to call to see me in my new place. I sure do! And moving is the best time to get your shui started! The purpose of feng shui is to guide energy to bring you health, happiness, and good luck in general. But the energy can’t get where it needs to go if there is any clutter in its way. So when you’re packing to move, throw away anything you don’t absolutely need or love. Many people make the mistake of packing everything and figuring they’ll throw stuff away when they move in…which I promise you, they don’t! And what they bring is the energy, dust and “clutter” that they had in their last place. Use packing as an excuse to start fresh. When you’re going through your things ask yourself these three questions. Does it represent my current hopes, dreams and visions. Holding on to old accomplishments can keep you from achieving new ones. Starting fresh in your new home is the best way to invite healthy, vibrant energy into your life. This is the most practical tip I’ve stumbled upon. I’ve been curious about Feng Shui for years. Though I would not have thought decluttering a part of feng shui practices, it makes perfect sense. This stimulates my resolve to become better acquainted with feng shui this year. Hope you have a successful new year. For the last twenty years, every time we moved we have downsized–on purpose–giving away loads of books, furniture, clothing, small appliances and stuff, and using similar questions with each object we touched. In a few years, we expect to downsize yet again and will undoubtedly give away even more. Right now, though, we have managed to fill our one-bedroom apartment with way more stuff than we ever thought possible. Circumstances over the last three years caused me to choose between priorities. Too often my home got–and still gets–short shrift. Truthfully, I would never have thought I would let clutter take over my life as I have since those major changes occurred. After all, I used to teach clutter clearing! Mon dieu. I can’t help wondering if I haven’t put something in the way of free-flowing energy and, in doing so, somehow contributed to this clutter propensity. We have begun clearing, again, a bit at a time, as we have so often in the recent past with little success. I wonder if you have any thoughts on what might help break this cycle so we can get back on track. My best friend could do with thinking very carefully about his clutter – my goodness there’s hardly any walking space in his lovely flat and he’s expecting a baby! He’s got things that date way back -you know a real bachelor’s pad! He’s asked me to help him declutter I’ll try out some of your suggestions to bring him and his new family health and good luck.